It’s the most wonderful time of the year – finals week. UCI has been bustling with joy and merriment as students take their exams and get ready to go home to their families for the holiday season. Some students are so morose about leaving UCI for the break that they are staying up all night in our libraries to cram in as much fun (and knowledge) as possible before campus closes. UCI’s successes over the years have reflected the talent, vision, and dedication of our faculty, students, and staff. But those successes have also been made possible by the tremendous support we have received from the people of our region – friends and neighbors who have been great ambassadors, partners, and philanthropists. In recognition of this support and our commitment as a public university to serve the people, we are pledging to give back. 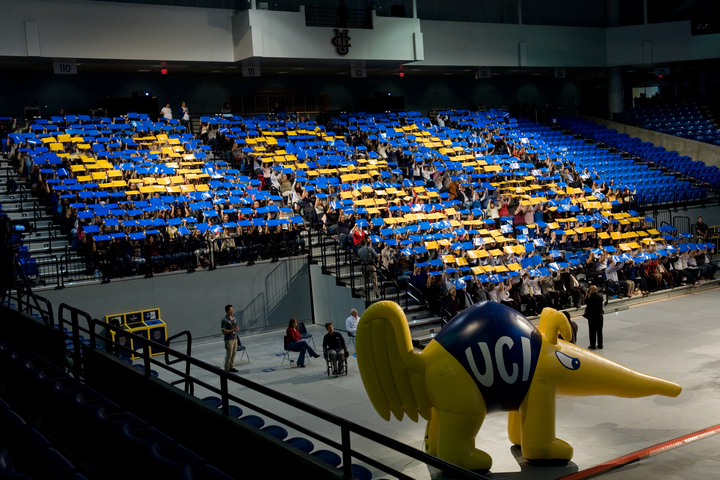 This month we held an Anteater Family spirit rally to celebrate UCI’s 50th anniversary and launch our Fifty for 50 Volunteer Program. The campaign encourages the UCI community – faculty, staff, students and friends – to personally donate 50 service hours during the two-year 50th anniversary period. Our goal is to reach a total of 50,000 hours of volunteer service by June 2016. After the rally, 700 volunteers stuffed nearly 1,000 stockings with gifts and personal care items for needy children benefited by the Olive Crest foundation. Dozens of Anteaters also took time out of their day before Thanksgiving to make sandwiches for the hungry in Santa Ana. If you have not already signed up to participate in this effort please consider visiting the website we have set up to make it easy for you to find an activity that is meaningful for you. Last month, we invited hundreds of our most committed volunteer supporters and ambassadors to a special Volunteer Leadership Summit at Anaheim’s Honda Center. Our friend Henry Samueli and his great team at the Honda Center were wonderful hosts. Peter the Anteater and Ducks mascot Wild Wing engaged the crowd along with our spirit squad. At the summit we thanked our volunteers for their efforts, but also emphasized how vital it is for us to build upon the university’s network of supporters and expand our reach into the community. To conclude the event, we viewed a video highlighting remarkable UCI students, faculty, and staff. Look for a story about the event in the UC Irvine e-magazine next month. Recently, we celebrated the grand opening and dedication of the Santora Elite Training Center, a new state-of-the-art facility for Anteater athletic training and rehabilitation made possible by a generous $1 million gift from Mark and Kathleen Santora, parents of two UCI alumni. The stunning 10,000-square-foot center is already serving UCI’s 350 student-athletes who compete in NCAA Division I sports. We also are congratulating our Men’s Soccer team, who finished an impressive season in the Sweet 16 round of the NCAA Tournament for the second consecutive year. UCI has been a longtime trailblazer in environmental and climate change research. Recently, Associate Professor of Earth System Science Isabella Velicogna and Graduate Student Researcher Tyler Sutterley released their research on glaciers in West Antarctica. The study in partnership with NASA’s Jet Propulsion Laboratory found that melt rates have tripled in the region, resulting in the loss of 91.5 billion tons per year. The story was prominently featured in national news publications including The Washington Post, USA Today and Time. 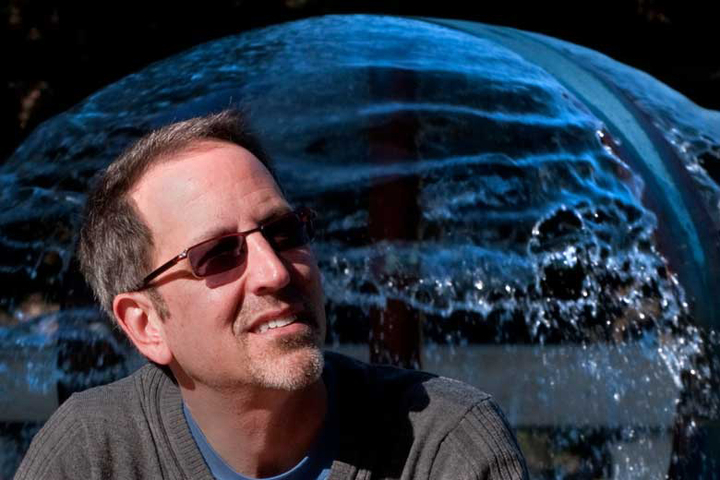 Last month, UCI hydrologist Jay Famiglietti appeared on “60 Minutes,” where he spoke about the impact of depleting groundwater resources. 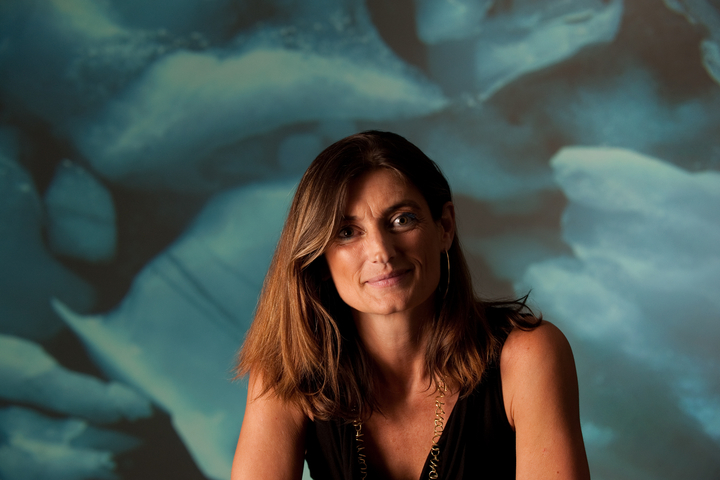 Famiglietti travels around the world to alert governments and academics about the world’s water problems detected through satellite technology from NASA and German space agency DLR. By the way, this is the fourth “60 Minutes” segment in 12 months that has recognized the great work of our faculty. We impact our region in so many ways, from our work in tech transfer and economic development to our contributions to health and disease prevention. We also have an important impact on K-12 education, with the most recent example being a $6.4 million grant from the National Science Foundation to launch a program that integrates arts and sciences to help elementary school students learn the basics of Earth, life and physical sciences. Led by Brad Hughes, director of science education and media for the Ayala School of Biological Sciences, the program brings interdisciplinary learning to eight Orange County school districts. In its initial development phase, the program will reach 21,000 students. We pride ourselves at UCI for recruiting some of the most brilliant researchers and educators in the world. Recently, four faculty members were elected to the esteemed American Association for the Advancement of Science for their extraordinary contributions to their respective fields. This year’s fellows include Professor of Physics & Astronomy Philip Collins, Professor and Chair of Molecular Biology & Biochemistry Christopher Hughes, Professor of Computer Science Eric Mjolsness and Donald Bren Professor of Biological Chemistry Paolo Sassone-Corsi. With this year’s class, 140 UCI faculty members have been named AAAS fellows. Vicki Ruiz, professor of history and chair of Chicano/Latino studies, will be feted by the National Women’s History Project in March for her pioneering work in Chicano/Latino studies and her writings on the role of Mexican-American women in U.S. history. Renowned neuroscientist and founding faculty member James McGaugh received the 2015 University of Louisville Grawemeyer Award for Psychology for his groundbreaking discovery on the way stress hormones impact memory. 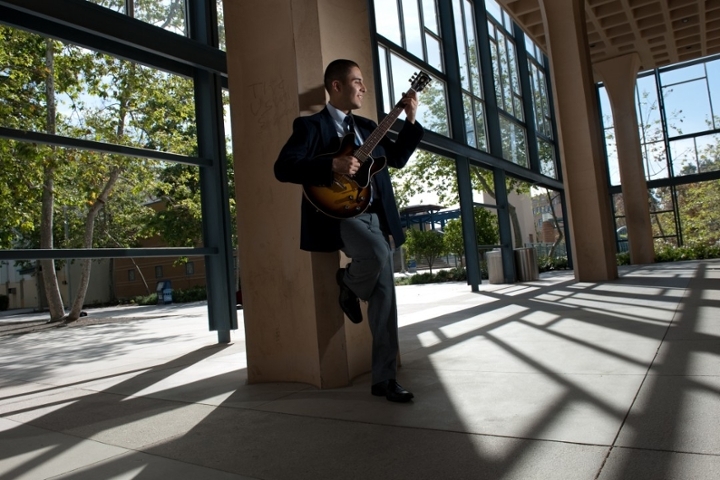 I am also very proud to announce that Felipe Hernandez, a 2013 UCI graduate in music performance and political science, was one of 40 students nationwide to be awarded the prestigious Marshall Scholarship, which supports two years of study at a British university. He hopes to study socioeconomic mobility and especially how policy can reduce barriers to success for first- and second-generation immigrant students. Congratulations, Felipe! The holidays are a time for reuniting with family, renewing friendships and rest, but anyone can attest how easy it is to become stressed or overwhelmed. A recent survey by the American Psychological Association found that 80 percent of Americans anticipate excessive stress during the holidays. UCI’s Dr. Jody M. Rawles, associate professor and interim chair of psychiatry & human behavior, attributes this stress to heightened expectations and offers eight tips to help keep the holidays happy. Wishing you peace and joy this holiday season and throughout the New Year.